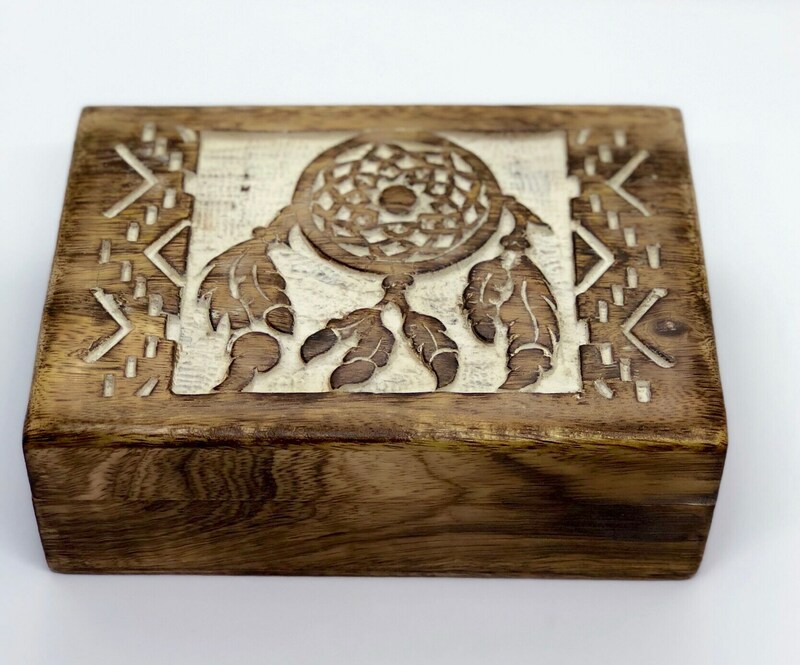 Dreamcatcher boxed smudge kit. 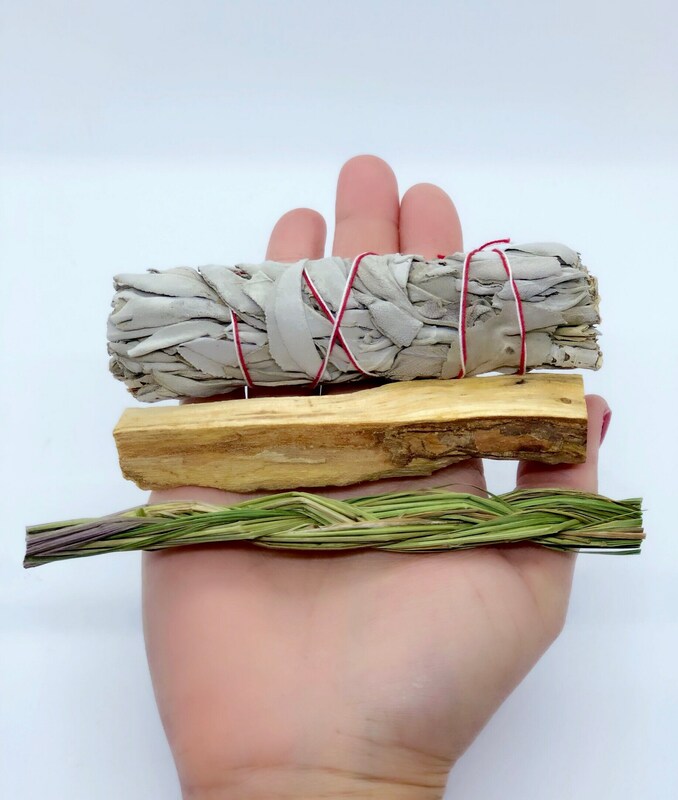 This kit comes with a full array of smudging goods. 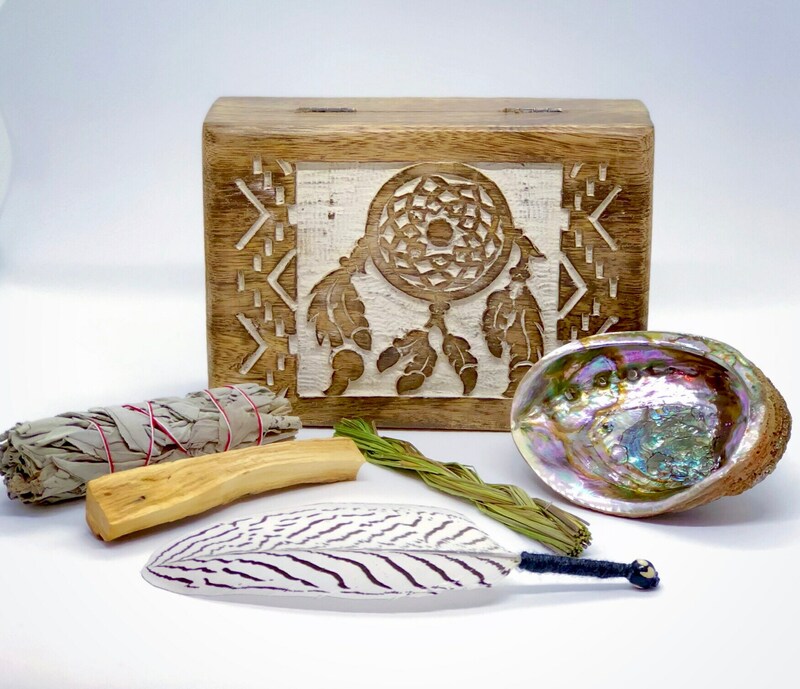 Organic white sage, sweetgrass braid, Palo Santo stick, abalone shell, and a handmade wool wrapped smudge feather with buffalo bone bead, all packaged nicely in a beautiful hand carved, velvet lined wood box. Dimensions of box are 7” wide, 5.5” long, and 2.5” deep. 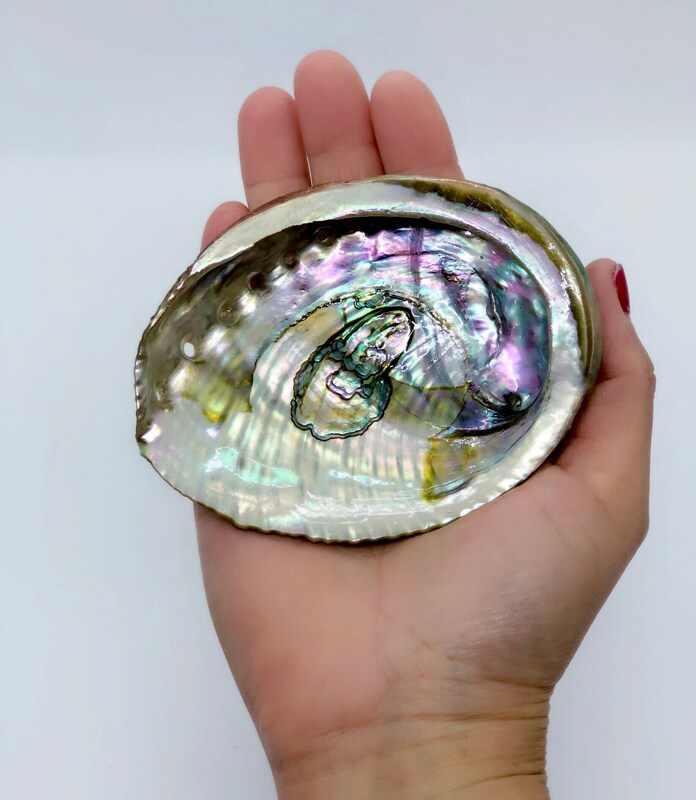 Abalone is a 4” size, white sage bundle is 4-5”, Palo Santo is 4-5”, and the smudge feather is 7”. Beautiful box and lovely content. Thank you. 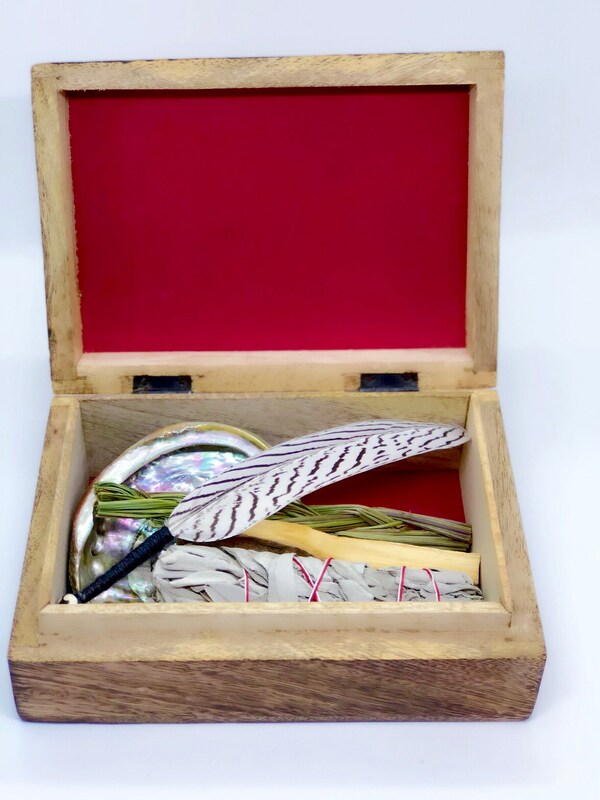 Absolutely love this box and smudging kit!! 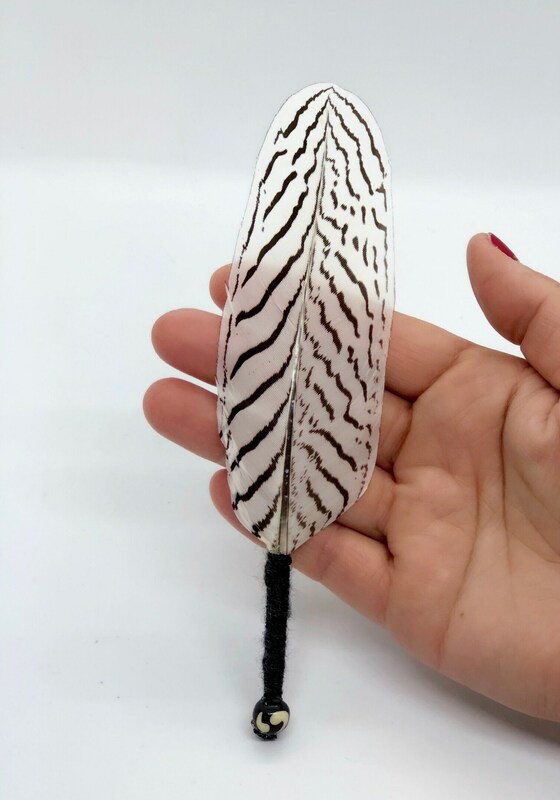 It came fast, was great price, and is full of wonderful energies as well as beautiful craftsmanship. Thank you so much WisperingWindsShop for bringing beauty and serenity to my home! I hope this helps anyone looking for a great smudge kit as well as a beautiful wooden box to store everything inside!! Exactly as pictured and beautifully packaged. Thank you for the extra sweet surprise!